Custom Ink is the leading provider of custom apparel and accessories for groups, teams and events. We believe that t-shirts and other custom products bring people together and strengthen the power of their communities. Inkers hacking projects at the semi-annual Inkovate. Inkers at the 2018 Company Wide meeting. Production Inker working hard creating custom shirts for our customers. 2018 Inktern graduates. Every summer and winter, the Inkternship program pairs motivated and engaged Inkers with high-impact work driving growth across the organization. Three Hearts volunteers pose for a photo after a successful event. 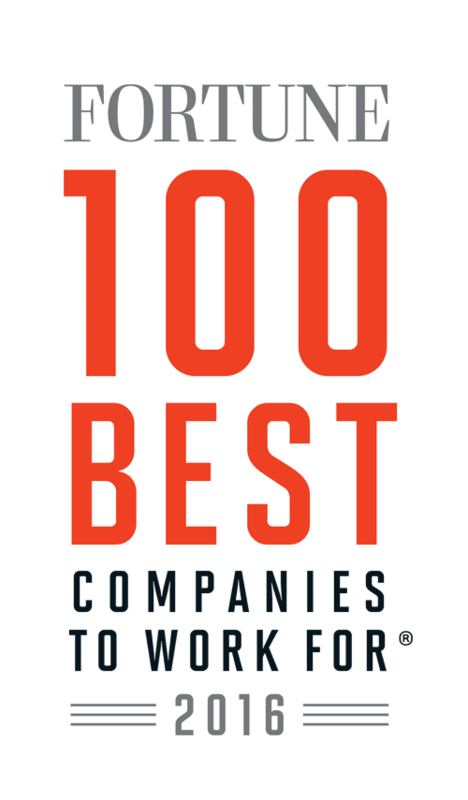 Congratulations to Custom Ink on being named to these Best Workplaces lists!